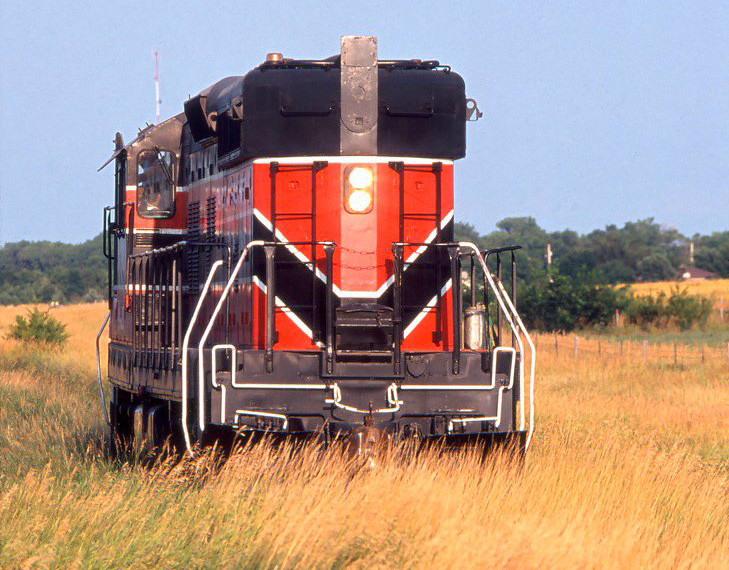 The Missouri-Kansas-Texas Railroad, better known as The Katy, was a large granger that maintained an unconventional north-south network within a region dominated by the Santa Fe, Missouri Pacific, and Southern Pacific/St. Louis Southwestern (Cotton Belt). It was also forced to compete against the Rock Island and St. Louis-San Francisco (Frisco). In spite of this, the company suffered only one true bankruptcy as a result of financial hardship. As its name implies, the MKT linked its namesake states with key connections to St. Louis, Kansas City, Dallas/Fort Worth, Waco, San Antonio, and Galveston/Houston. Much of its growth across Texas occurred during the Jay Gould era, one of the industry's most notorious tycoons. After escaping his grasp the Katy spent the 20th century as a well-managed, if not highly profitable, railroad. Due to its regional nature and many competitors it did not enjoy the success of its larger neighbors but was nonetheless a respected carrier. 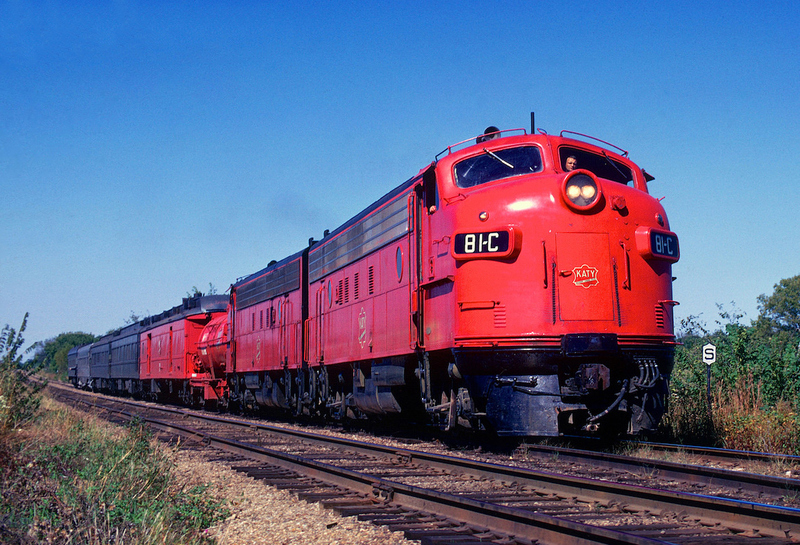 During the late 1960's, legendary railroader John Barriger III took the reins and guided the Katy through a brief bout of prominence. 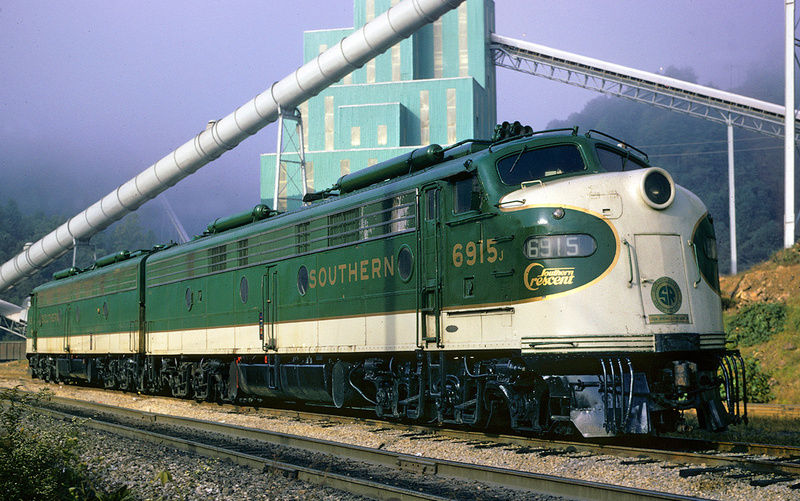 He had always envisioned it joining a stronger system, which came true in 1988 when it was acquired by Union Pacific. The Katy's story begins during the railroad's earliest days west of the Mississippi River. These vast lands remained relatively uninhabited during the mid-19th century and the federal government looked to change this by aiding in a route's construction to the Pacific Ocean. The concept was first launched in the 1850s when then-U.S. Secretary of War Jefferson Davis (who later became president of the Confederate States of America) led surveying efforts for this purpose. Three primary corridors were chosen; one to the north, a central route, and finally a southern passage. For years, Congress could not agree upon which due to philosophical differences over slavery. However, following the Civil War's outbreak, a unified Northern delegation decided upon the central option. Hostilities also brought a much more urgent reason to build west, curbing Confederate influence within these regions. 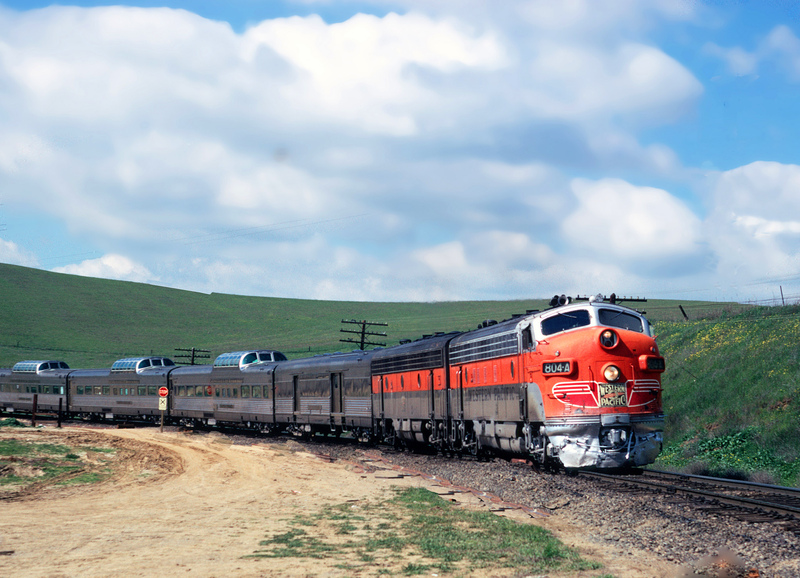 The Pacific Railroad Act of 1862, signed into law by President Abraham Lincoln on July 1st, is the most famous piece of legislation passed for this purpose. It established the Union Pacific Railroad to build from Omaha, Nebraska, which would meet the Central Pacific heading east from Sacramento. Following six years of construction the two met at Promontory Summit, Utah during a formal ceremony held on May 10, 1869. With the driving of the Golden Spike that day, the Transcontinental Railroad was completed. While this event may be the best remembered, a number of similar projects were also undertaken at around the same time. 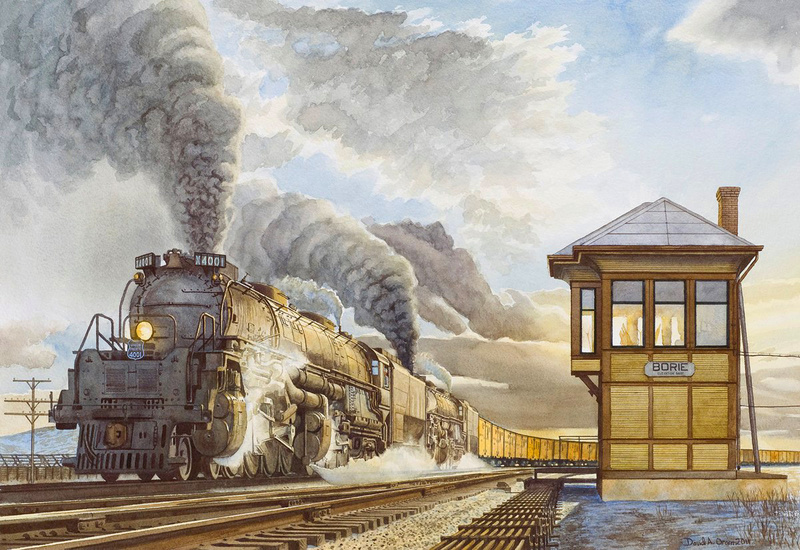 The Northern Pacific was later established to build from the 49th parallel while the Texas Pacific Railroad (predecessor of the Texas & Pacific Railway) was tasked to run via the 32nd parallel (never completed). In addition, other upstarts like the Atchison, Topeka & Santa Fe; Atlantic & Pacific/St. Louis & San Francisco (whose charter was acquired by the AT&SF); and Kansas Pacific (Union Pacific) were awarded land grants to open the West. Interestingly, the Katy's immediate predecessor also enjoyed such land grants although much of its network was ultimately pieced together through either new construction or acquisition. It all began when President Lincoln signed an amended Pacific Railroad Act into law on March 3, 1863. This legislation, according to the booklet, "The Opening Of The Great Southwest: A Brief History Of The Origin And Development Of The Missouri-Kansas-Texsas Railroad" (released by MKT's publicity department in 1970), stated the government would "grant alternate sections of land along the route to aid in construction of a line down the Neosho Valley to the southern boundary of Kansas." These would be ten sections in width along each side of the track. The book, "Katy Power: Locomotives And Trains Of The Missouri-Kansas Texas Railroad, 1912-1985" by authors Joe Collias and Raymond George, Jr., notes the government had another motive behind this plan; to provide U.S. Army forts with improved transportation as a national defense measure against the Confederacy. 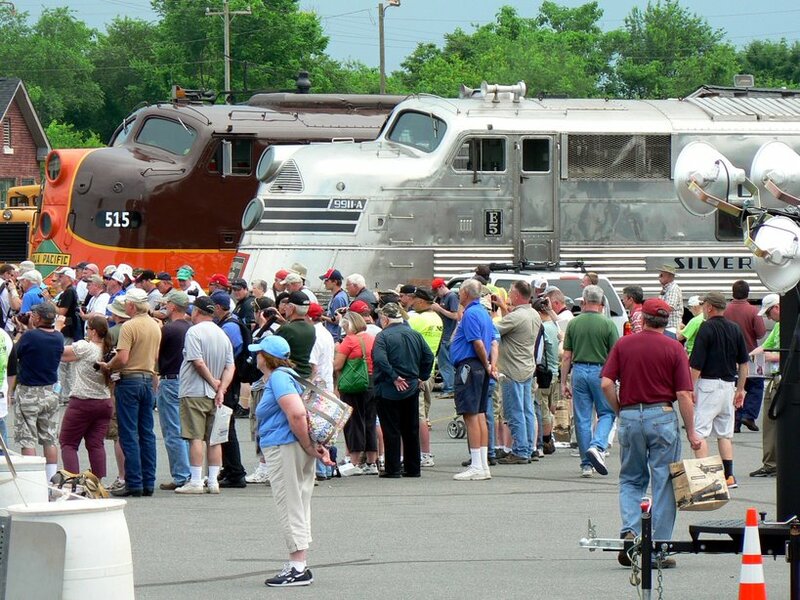 More specifically, it was hoped that Fort Riley, Fort Leavenworth, and Fort Gibson could be directly connected by rail. 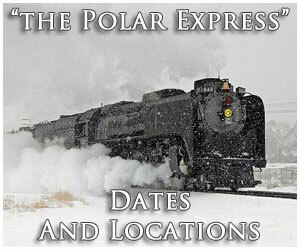 There were three railroads incorporated for this purpose; the Kansas & Neosho Valley Railroad (K&NV); Leavenworth, Lawrence & Fort Gibson Railroad (LL&FtG); and finally the Union Pacific Railway, Southern Branch (UPRSB). The latter, formed during February of 1865, is the Katy's genesis, envisioned to link all three forts as well as Fort Smith in Arkansas (never accomplished). The first to complete the task and reach Indian Territory (the state of Oklahoma after November 16, 1907) would be declared the winner. It wasn't long before promoters of the LL&FtG had given up, which left only the K&NV (later reorganized as the Missouri River, Fort Scott & Gulf) and UPRSB. The former began construction directly south out of Kansas City while the latter commenced from Fort Riley, Kansas (Junction City) in a southeasterly direction. Both companies were soon underway and the UPRSB had reached Burlington, Kansas by February of 1870. 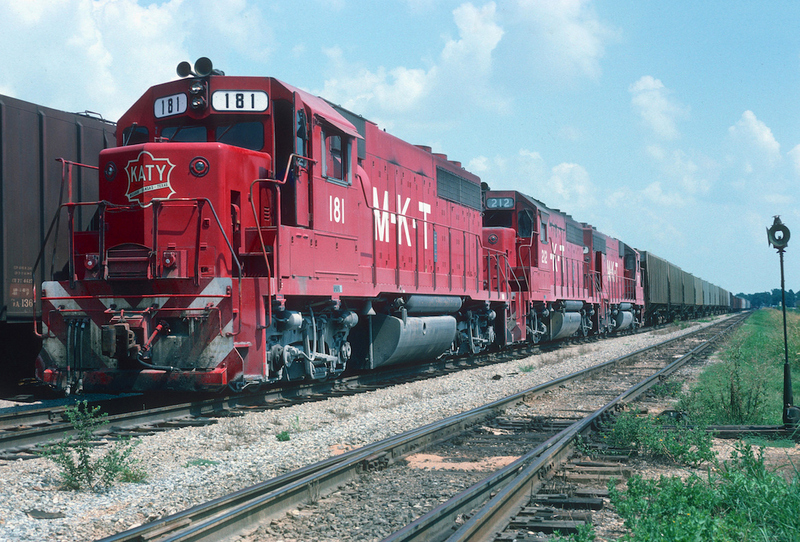 Just three months later, on May 23rd, it was renamed as the Missouri, Kansas & Texas Railway (MK&T). Shortly thereafter, track-layers arrived in Chetopa, Kansas (182 miles from Junction City) and the first train officially entered Indian Territory on June 6, 1870. There was great dismay when it was learned the MRFtS&G had actually arrived there first, completing a line down the eastern edge of Kansas, connecting Fort Scott, Girard, Columbus, and Baxter Springs along the way. However, by doing so it had entered Quapaw Indian Territory, which was not stipulated in the federal act which specifically stated a railroad was to enter the Neosho River Valley within the Cherokee's lands. As a result, the MK&T was awarded the grant. With more capital now available officials immediately sought further construction and opened a new, 160-mile corridor from southeastern Kansas to Sedalia on February 3, 1871. 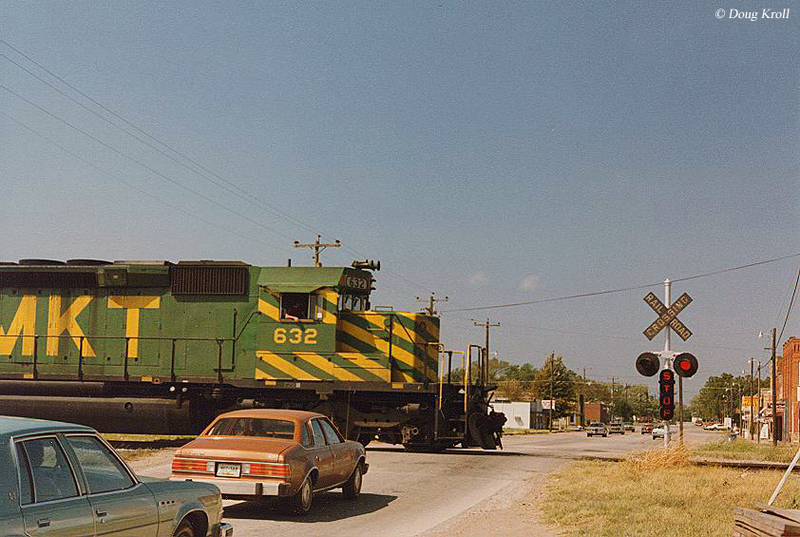 It split off the original main line at the new town of Parsons (named for MK&T president Judge Levi Parsons, the location later became the modern Katy's primary engine and maintenance terminal). After opening to Sedalia, construction crews worked their way south, crossed the Red River, and reached Denison, Texas on December 24, 1872. Many of the railroads building west (which included the powerful Santa Fe) were funded by eastern capitalists based in either Boston, New York, or Philadelphia. The Katy was no different and relied heavily on their monetary support. Early on, it struggled to procure a steady traffic base due to the region's sparse population. It subsisted chiefly on the Chisholm Trail's cattle business (which helped fuel the Santa Fe's rapid growth) along with available agricultural traffic. In an effort to remedy this issue, it opened a through extension from Sedalia to Moberly, Missouri on January 10, 1874 following completion of a bridge over the mighty Missouri River. 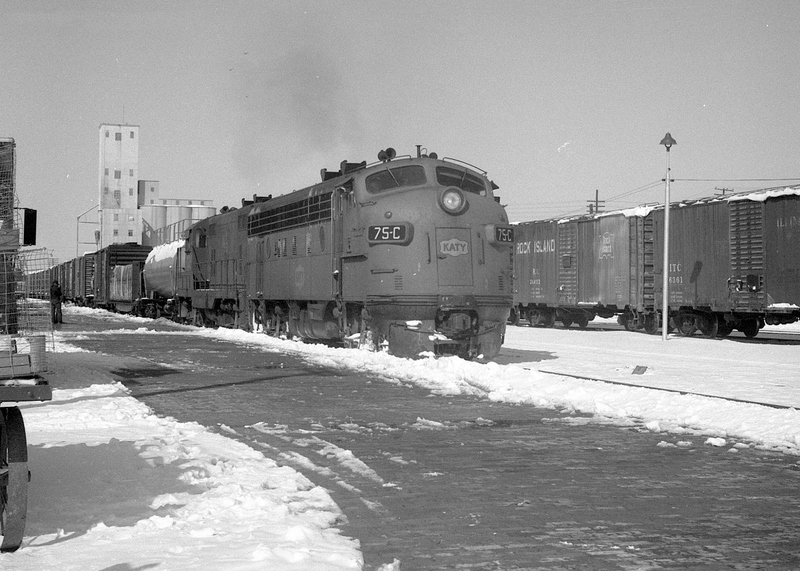 The new line provided a connection with the St. Louis, Kansas City & Northern (a Wabash predecessor), which offered through service into the growing hub of Chicago. Following the financial Panic of 1873 the MK&T did its best to remain solvent but eventually entered bankruptcy on December 31, 1874. It exited receivership on March 1, 1876 carrying the same name but with new leadership. A confidant of Jay Gould, William Bond, was named general manager which led to the tycoon, himself, later achieving the presidency on January 26, 1880. He implemented his typical policies of deferred maintenance and pay cuts to provide shareholders with the highest possible earnings. Despite his poor reputation, Gould is credited with much of the Katy's expansion. Growth was a key step in his larger plan to establish a true, coast-to-coast transcontinental railroad and explains why most railroads under his control rapidly expanded in the late 19th century. In the Katy's case, its development was somewhat different as Gould used the carrier to further propagate his influence across Texas. By the end of that year he enjoyed a virtual monopoly in the Lonestar State thanks to a portfolio that included the Missouri Pacific, Texas & Pacific, and International & Great Northern. By acquiring the MP, Gould made a corporate change with the Missouri, Kansas & Texas; henceforth it would be the MK&T Division of that system. This was abbreviated to "K&T Division" in printed timetables which led to the nickname "KT" or "Katy." Afterwards, he quickly pushed it deeper into Texas; in early 1881 Gould purchased two small short lines running south and west of Denison; one reached Greenville while the other terminated at Gainesville. Then, trackage rights were secured over the T&P on April 1st providing access into Fort Worth from Whitesboro. The 1880's were a banner decade for growth; from Greenville the line was extended to Mineola on June 25, 1881; service into Dallas also began that year by controlling the Dallas & Wichita; beyond Fort Worth rails reached Taylor on June 9, 1882; another small short line, the Dallas & Greenville Railway, was picked up in 1886, providing direct service between those two points; in 1890 subsidiary Dallas & Waco reached Hillsboro, which opened through service from Dallas to Waco, Taylor, and points further south; in 1887 an extension reached Henrietta along a corridor that eventually became a very long agricultural branch into western Oklahoma; Houston was accessed in 1893 and the MK&T entered Galveston by jointly owning the Galveston, Houston & Henderson in conjunction with the Intentional & Great Northern; lastly, it first arrived at San Antonio from the east in 1901, then opened a direct north-south connection from Granger to Austin in 1904 (beyond San Marcos trackage rights were secured over the I&GN into San Antonio). 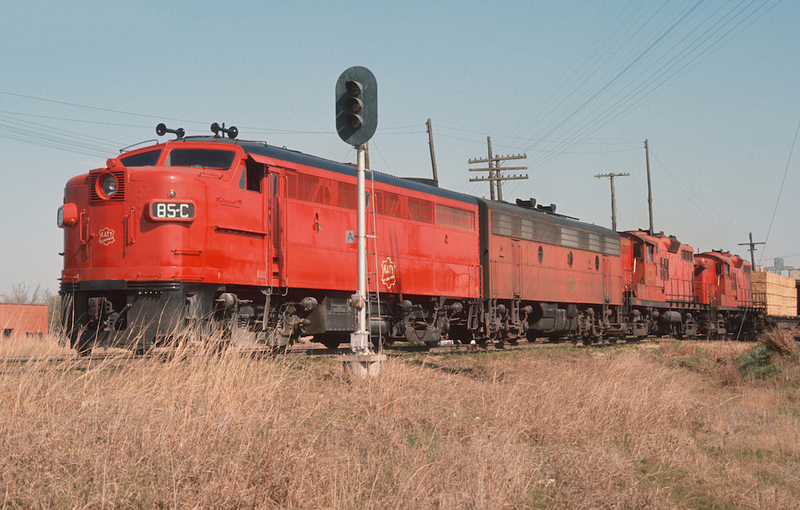 The company wrapped up its expansion in Texas by acquiring the Texas Central Railway in June of 1910. 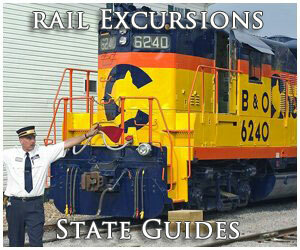 This 268-mile system provided service into De Leon, Cross Plains, and Rotan via Waco. While Gould never focused on further growth across Indian Territory he did establish a direct route into Kansas City; much of this was accomplished in 1887 when a new line opened from Parsons to Paola. From there, 43 miles of trackage rights were secured over the Kansas City, Fort Scott & Memphis Railway (Frisco) on July 8, 1889. Before Gould could carry out further efforts a court order forced him to divest control of the MK&T; it took effect on November 1, 1888 at which time the Katy was permanently separated from the Missouri Pacific. It was placed into a voluntary receivership and reorganized as an independent Missouri, Kansas & Texas Railway on July 1, 1891. 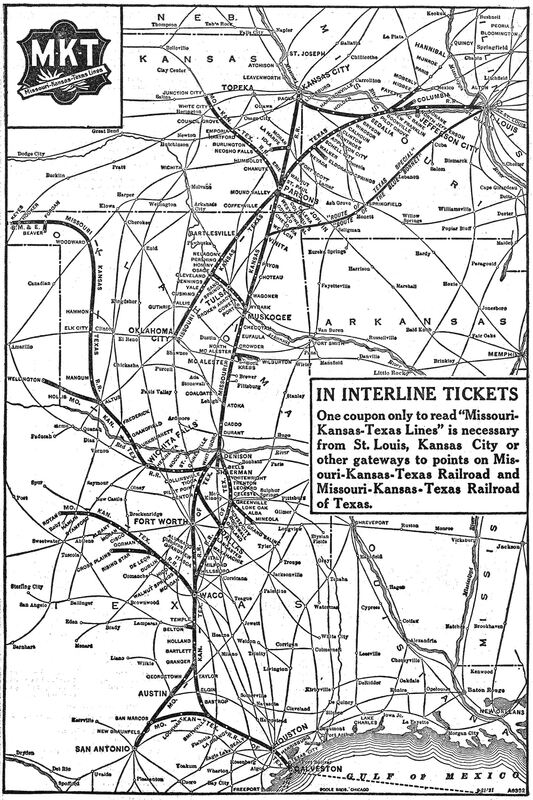 Following this corporate shakeup the MK&T continued to expand: it reached St. Louis in the spring of 1894 by completing a line from New Franklin to Manchens (162 miles) then gained trackage rights over the Chicago, Burlington & Quincy from that point into the Gateway City; just a year later, in 1895, it opened an 86-mile cutoff from Bryson to Paola, providing a direct, east-west corridor between St. Louis and Kansas City. The Katy's final additions included a route to Oklahoma City and the extensive, previously mentioned agricultural branch across western Oklahoma. The former was attained over a long, 169-mile branch running southwestward from Coffeyville, completed in February of 1904. (Of note was a sort of cutoff established between this branch and the Kansas City/St. Louis-Dallas/Fort Worth main line when a 79-mile connector opened from Osage to Wybark in August of 1903.) The latter was carried out through a series of leases and new construction; first, the MK&T leased the Wichita Falls Railway in 1895 to access Wichita Falls, Texas from what was then the end-of-track at Henrietta. In July of 1911 it acquired the Wichita Falls & Northwestern Railway, which was already in the process of opening rail service throughout western Oklahoma; it reached Forgan on November 1, 1912, which had followed completion of a branch from Altus to Wellington, Texas on November 10, 1910. 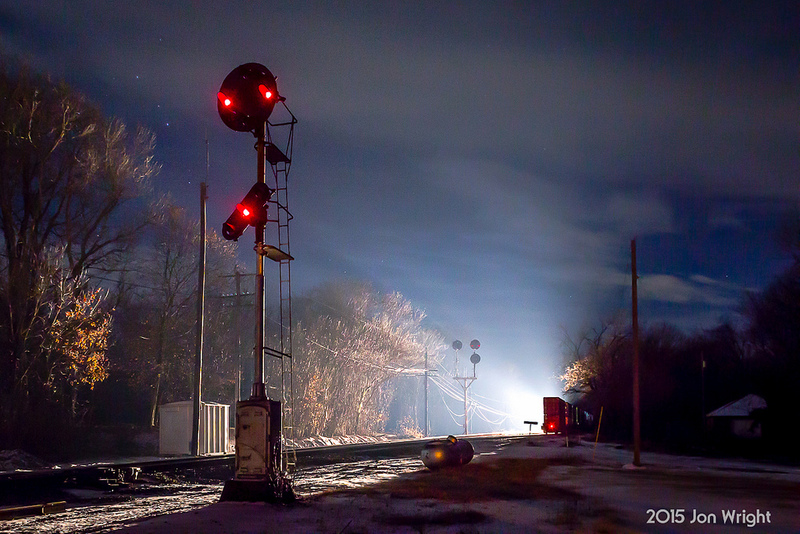 Altogether, this trackage totaled 363 miles. In 1931 the line was further extended from Forgan to Keyes by acquiring the 105-mile Beaver, Meade & Englewood Railroad. 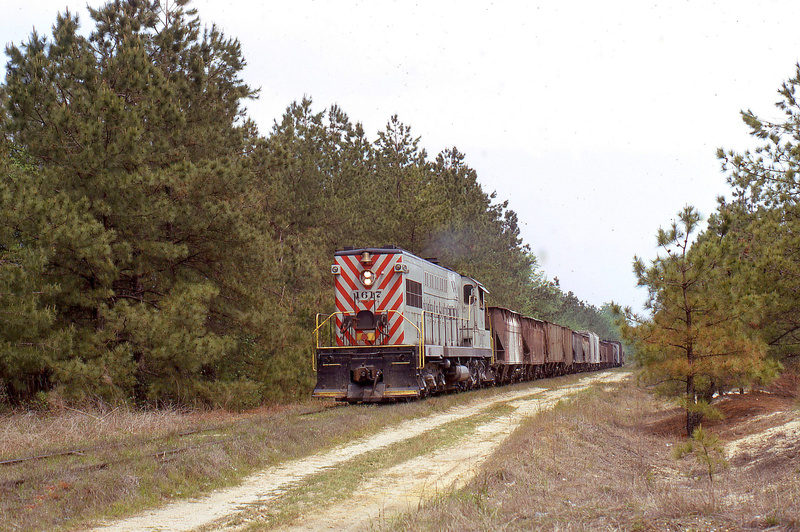 The Katy's entire interest in this trackage was to improve its wheat and cotton tonnage. However, as the years passed the branch became increasingly unprofitable and was abandoned north of Altus on January 31, 1973. There were many other components of the contemporary Katy not mentioned here; many were short segments either abandoned or sold over the years. 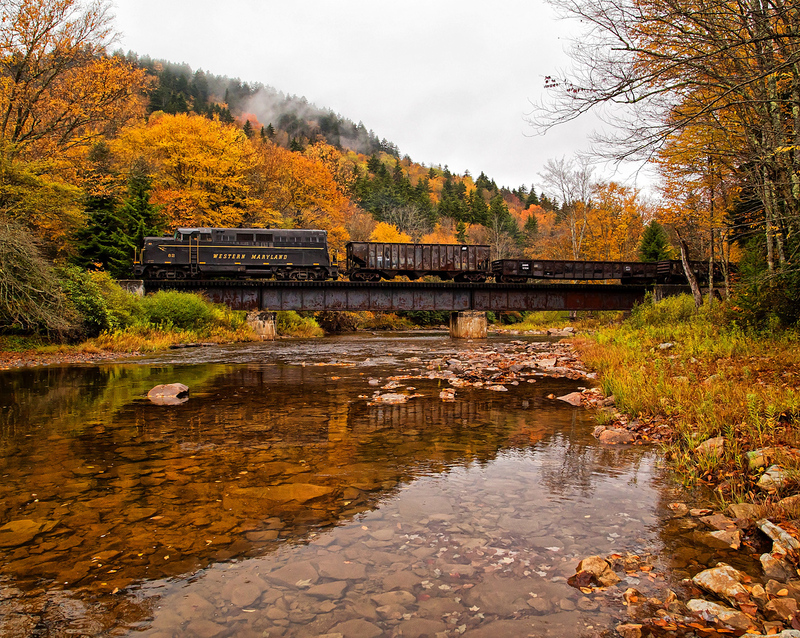 One of the most notable was the narrow-gauge East Line & Red River Railroad (EL&RR), acquired on November 28, 1881. 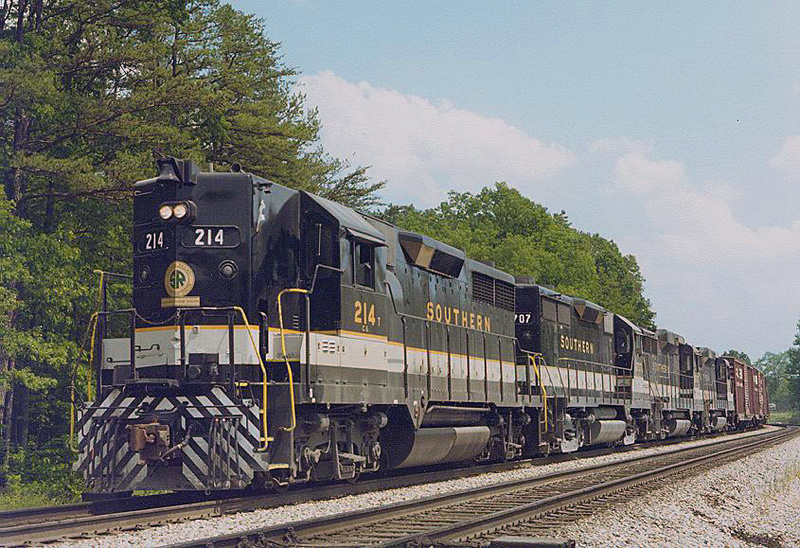 According to Dr. George Hilton's book, "American Narrow Gauge Railroads," the system was originally chartered on March 22, 1871 and over the next decade opened 124 miles from Greenville to Jefferson, Texas. Following MK&T's takeover it was extended westward from Greenville to McKinney in May of 1882. Due to a dispute with the Texas attorney general, the EL&RR was ordered separated from the MK&T on April 12, 1891 although it remained under Katy control. The process of converting the property to standard gauge began in 1887 when the newer McKinney-Greenville section was widened. The remainder was finished during a single day (122 miles) on September 13, 1892. It was then pushed eastward to Waskom, Texas while 20 miles of trackage rights were secured over the Vicksburg, Shreveport & Pacific (future component of the Illinois Central) in 1900 to reach Shreveport, Louisiana. 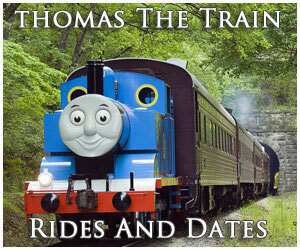 It only remained in the MK&T network for two decades. On September 26, 1915 the Katy was placed in receivership. When it was reorganized on April 1, 1923 as the Missouri-Kansas-Texas Railroad the EL&RR trackage was not retained and became part of the Louisiana Railway & Navigation Company (a Kansas City Southern predecessor). Throughout the 20th century, the 2,787-mile Katy enjoyed strong leadership although stiff competition hampered profits. It managed to evade bankruptcy during the Great Depression, thanks in part to a nearly $3 million Reconstruction Finance Loan received in 1938. Mr. Collias and Mr. George, Jr. argue that had the MKT elected to enter receivership during these lean times it may have decreased or eliminated outstanding debt, improved its system, and enjoyed greater success. As it were, lack of money precluded heavier infrastructure and equipment investments. Much of its network was laid with relatively light rail (90 pounds or less) which prevented more powerful wheel arrangements (such as 2-8-4's, 4-8-4's, or articulateds) from being utilized. Without these, it could not handle longer freights, which would have generated greater revenue. 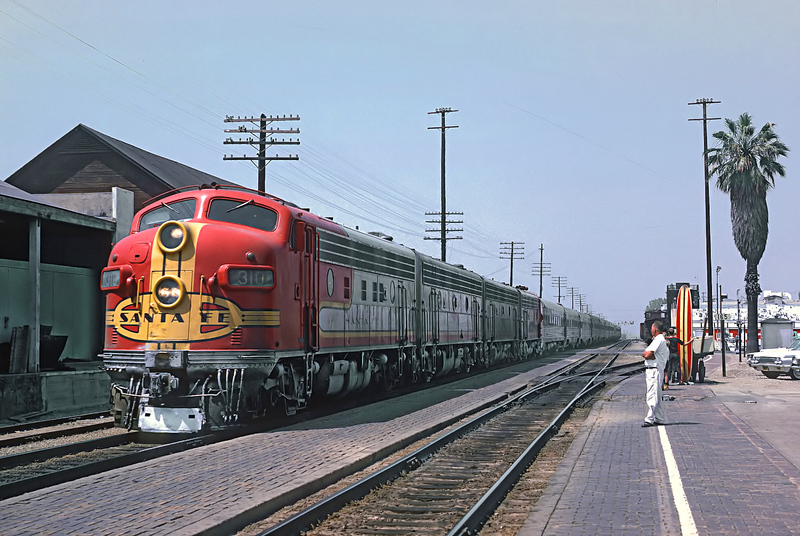 In May of 1948 the Katy did unveil a beautiful streamliner, the Texas Special, in conjunction with the St. Louis-San Francisco between St. Louis and Fort Worth/Dallas/San Antonio. 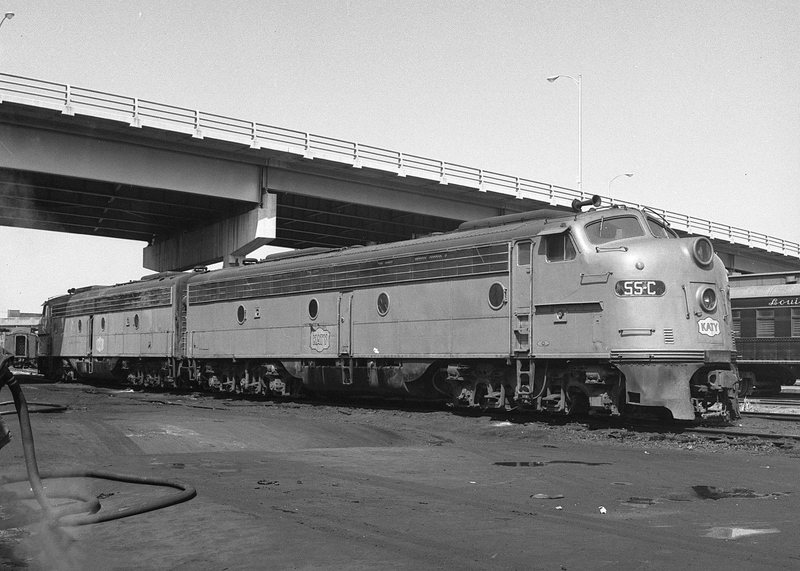 Unfortunately, MKT's deteriorating track conditions and equipment greatly vexed the Frisco, which canceled its leg in 1959. * Sold to Chicago & Alton in 1934. * Renumbered 70-79 in 1947. ** All retired by 1925. *** Numbers 306, 309, 311, 312, 314, and 315 became #1301-1306 in August of 1949. When John Barriger III was elected president in May of 1965 he improved the MKT as best he could and was able to increase gross revenue from $56 million in 1964 to $68 million by 1968. He worked similar magic at other moribund railroads and realized the Katy's greatest chance for long-term survival was merger with a stronger system. 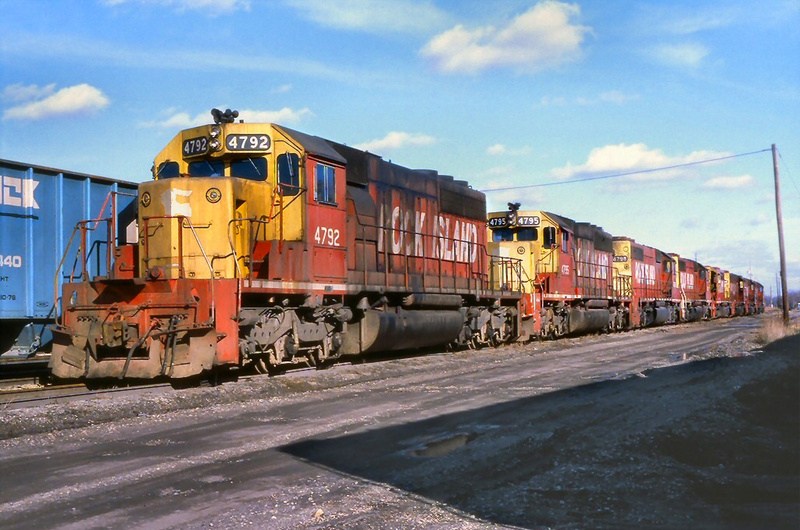 Under new president, Reginald Whitman, unprofitable branches were abandoned or sold and in 1980 gross revenues jumped further to $220 million although management knew by that time the railroad must join. 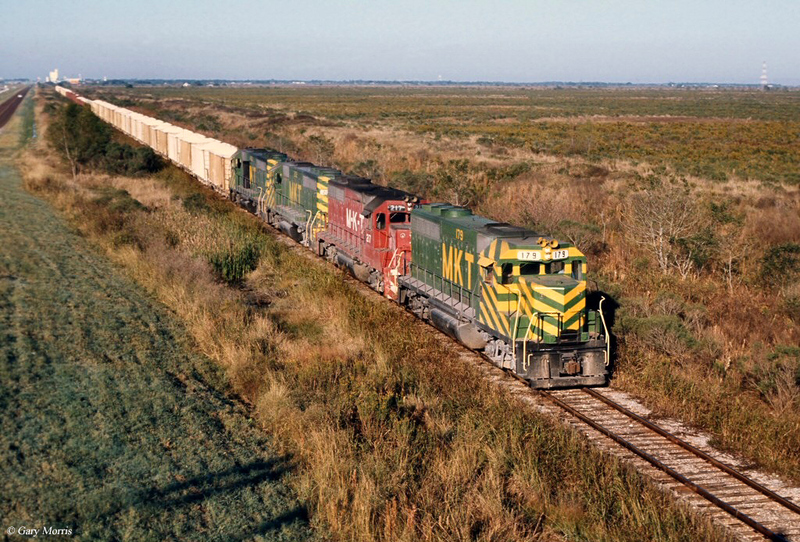 By that the 1980's most of Katy's important interchange connects were gone as it found itself surrounded by the transcontinental Santa Fe, Burlington Northern, Southern Pacific, and Union Pacific. 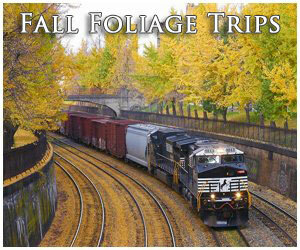 After brief negotiations, MKT officially became a division of Union Pacific in 1988. While much of the original network has since been either abandoned or railbanked some of its lines persevere under Union Pacific today. 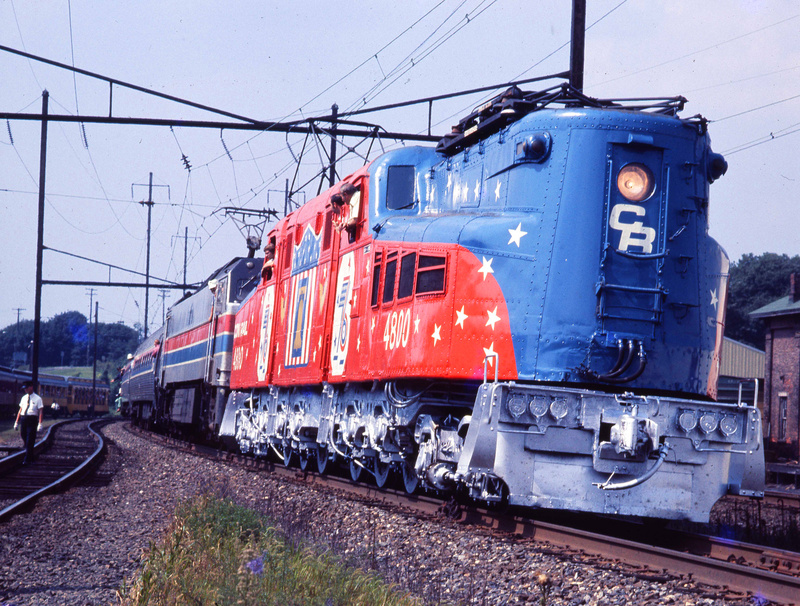 The country's largest railroad has even paid tribute to this predecessor by painting an SD70ACe locomotive into an MKT-inspired livery, which was unveiled in September of 2005. Its number recognizes Missouri-Texas-Kansas’s final year of independence, 1988.